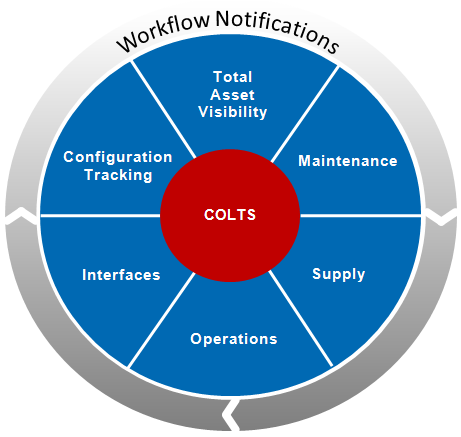 COLTS program management suite is a unique combination of supply chain, maintenance management, repair, operations, and configuration tracking that gives businesses, military, and government organizations total asset visibility and property accountability throughout the equipment lifecycle. COLTS is easy to install and is fully scalable. It's highly tailorable and can be quickly adapted to your way of doing business. All in a single package. Copyright © 2011-2019 Avantix, LLC. All rights reserved.